Bootstrap Business: How Is Technology Revolutionizing The Private Hire Industry? How Is Technology Revolutionizing The Private Hire Industry? You’re out in town, it’s getting late and all you want is to go home, but there’s no taxis available to pick you up, or even worse, your pre-booked cab doesn’t turn up. Everyone’s been there, right? It’s frustrating and we could all do without it. However, thanks to recent advances in technology, such nuisances are becoming rarer. The introduction and widespread use of mobile apps has been a revolutionary for the industry. The innovative technology has many features that benefit the customer, including storing your favorite destinations and addresses for convenience, tracking your vehicle’s location, fare estimator and easy payment. This helps to provide a smoother and more pleasant user experience; which in turn leads to customer retention. By companies understanding what is important to the customer, these apps can provide a service that had long been lacking, with ‘I’ll be with you in five minutes’ no longer being sufficient. Nevertheless, it isn’t just customers or ‘riders’ who are seeing the benefits of these apps. Applications and related websites allow taxi drivers to ensure they are paid via automatic bank transfers. It also allows a driver to pick and choose their customers based on a rating that has been provided by fellow drivers based on previous journeys. This is a great way to make the job easier. After all, for the majority of drivers this is their livelihood and main source of income. These days, each and every private hire job is undertaken by a fully-licensed driver whose vehicle has full insurance cover and carries a license. For this, we have the Private Hire Vehicles Act of 1998 to thank. While this hasn’t always been the case, companies now track their drivers so they can see exactly where they are in the event of any issues. The license plate will also be sent to your app or phone prior to arrival, so you can be sure you’ll get in the right vehicle. 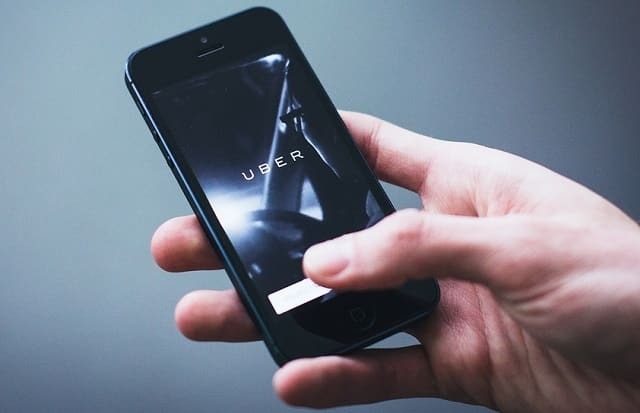 At the beginning of this year, Uber promised to take a more hands-on approach to reporting incidents after worries arose about the firm in London. The San Francisco-based company launched a 24/7 telephone support service that is accessible to both drivers and customers so they can report any issues they may have faced. It’s no surprise that an increasing number of people are choosing taxi drivers. Partly in thanks to how fast the industry is evolving and the fact that so many people are looking to steer away from the once-popular nine-to-five working day, along with the rise in people looking to supplement their income outside of their main hours. In order to actually become a taxi driver, you’ll need to apply to your local business council, with each one having different requirements to meet. However, all councils will request a medical check, a criminal records bureau check, a current driving license and a fee for the license. One thing to be aware of, it should be noted, is the type of car you drive. It’s certainly not cost effective if your car uses up a lot of fuel. Skoda have often been a popular choice, with Car Keys voting the Skoda Octavia and Skoda Superb as the top two cars for taxiing thanks to their sturdiness, economical engines and spacious boots. Overall, thanks to technological advancements, the private hire industry is booming. Such new devices have allowed everyone to prosper – companies, drivers and, most importantly, customers alike. I hope you enjoyed this article about how new business technology is revolutionizing the private hire industry and other sectors.